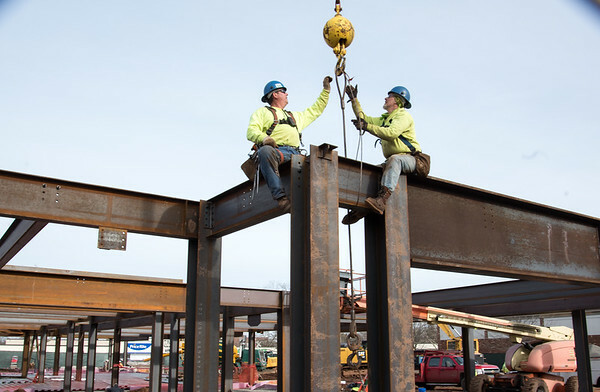 NEW BRITAIN - Construction crews have been busy at a Columbus Boulevard site as fences, steel girders and a foundation take shape as part of the Columbus Commons project. 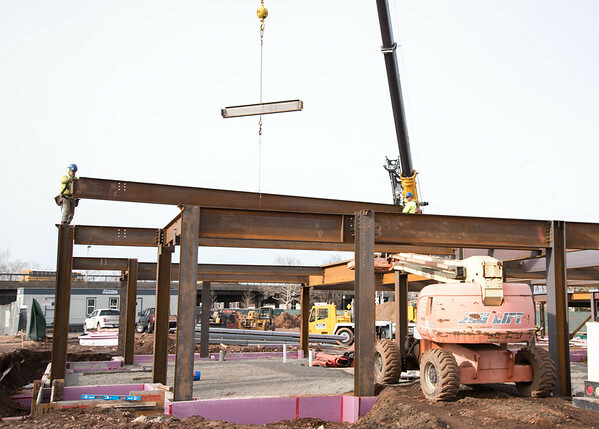 The first phase of construction kicked off in October 2018. The $58 million transit-oriented-development project is on the site of the former police station at 125 Columbus Blvd. The project is being led by New York-based Xenolith Partners and Massachusetts-based Dakota Partners. In 2017, the city broke ground on the project, which will include two six-story buildings with 160 mixed-income residential units and first-floor retail space. The buildings, A and B, will be constructed separately. Building B is the first one that it’s being worked on because it will be directly facing the street. As the foundation of Building B was being put in place, remediation of the ground soil was done. A recent Facebook post by the mayor has generated some criticism as some people are worried the residential aspect of the project will be similar to Section 8 housing. Stewart’s response to the comments indicates that young professionals are the market for the buildings. Stewart’s comments also emphasized that rent will be on a sliding scale, depending on the individual’s annual income. The state Department of Economic and Community Development granted the city $2.7 million, which assisted with demolition and the environmental cleanup of the property. DECD also awarded the city $724,000 in Brownfield remediation funds in 2018. 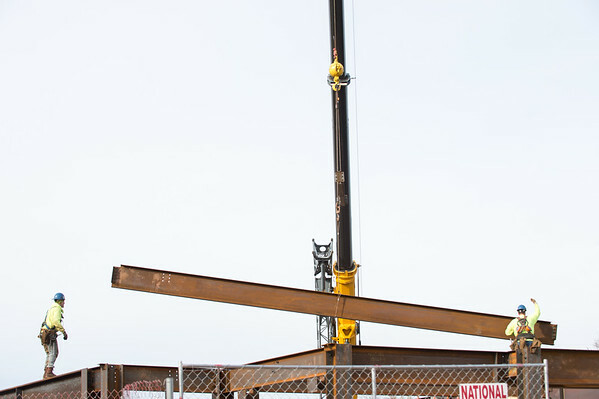 Construction of Building B is expected to be finished by this fall. It is expected to be fully occupied by the summer of 2020, after which construction of Building A will start. Staff writer Skyler Frazer contributed to this story. Posted in New Britain Herald, New Britain on Thursday, 7 February 2019 20:52. Updated: Thursday, 7 February 2019 20:54.